Steve Diamond, Sales director of Rugby watched the game with his coaches from the stand as he began the first match since his touchline ban. The ban was due to his verbal abuse of an official in Sale’s Anglo-Welsh Cup battering of Harlequins. Addison was forced to go off nine minutes into the game after landing heavily on his right ankle as he challenged Taylor for a high ball. He game started with Saracens taking the lead after pressure inside Sale’s 22 saw centre Marcelo Bosch send in a high and wide pass that went across to Taylor on the left wing who immediately stole in from 10 metres. However, McGinty, who replaced Addison helped Sale regain the lead as he landed a thumping forty metre penalty. However, the two point advantage was soon reclaimed by Lozowoski as he struck home his first penalty. Ashton scored after collecting a chip from Richard Wigglesworth inside the Sale 22. By half time, the home side was leading 21-6. 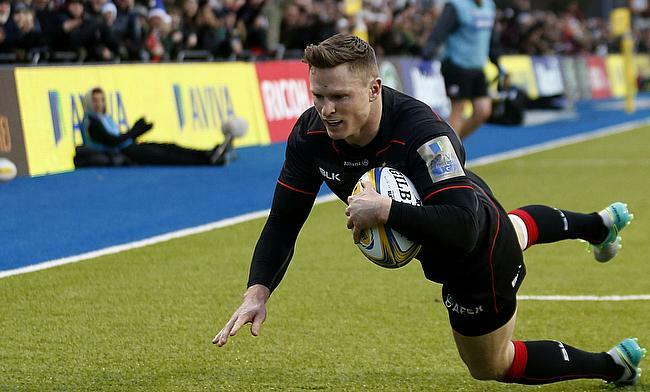 After the break, Saracens closed in on a third try early enough. Lozowoski soon booted his fourth penalty as Ashton and Bosch set-up Earle in the corner for an unconverted try.